Whether located in a refinery‚ terminal‚ hot mix plant or roofing plant‚ CIRCOR pumps move asphalt per the customer specifications. 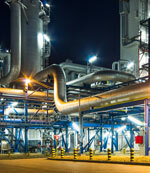 CIRCOR pumps associated with asphalt plants include three screw and thermal oil pumps. 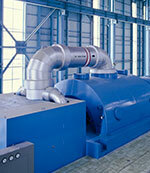 Thermal oil pumps are used to provide process heat. The heat is provided via circulated water or synthetic liquid that helps keep the asphalt at an elevated temperature and thus from solidifying. Three screw pumps are used for asphalt pumping. 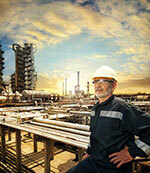 Typically‚ these pumps are rugged‚ heavy duty pumps designed to last and handle the elevated temperature conditions. They pull asphalt from a central reservoir and move it into the manufacturing stream for processing.